Accent an outdoor oasis with this stunning wall art! 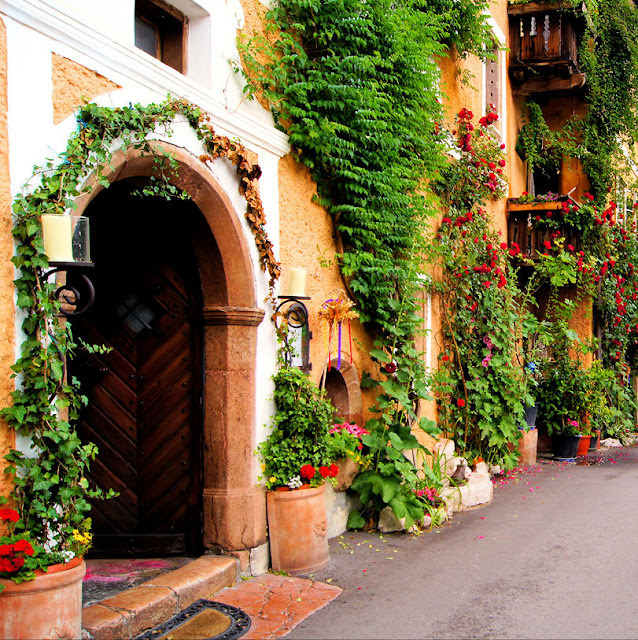 Imaging strolling down this flower-filled street on your way home from the market. Vibrant, fine art images from professional photographers are printed with archival-quality inks on artist's canvas that's waterproof and UV-protected for long-lasting enjoyment. The images are reproduced using Giclee printing technology for incredibly crisp details that captivate whether viewed up close or from afar. The images extend onto the sides of the gallery-wrapped canvas, just as you might see in a museum. The durable, 1-1/2" vinyl stretcher bars have stainless steel staples and hardware. These stunning photographs can be placed in any outdoor location, even one with direct exposure to the elements.